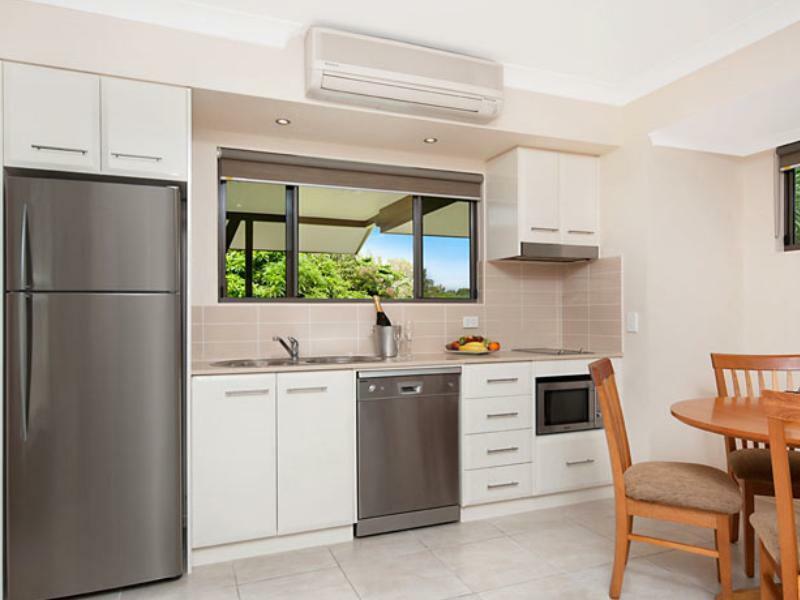 يشكل فندق Shantara Resort Port Douglas (Adults Only) بموقعه الممتاز في منطقة سياحة, شواطئ, مطاعم ضمن المدينة، مكاناً ملائماً لقضاء العطلة بعيداً عن عجقة أيام العمل. يحظى هذا الفندق ذو 4.5 نجمات بمكان ممتاز يسمح بالوصول إلى المعالم السياحية الأكبر في المدينة، فهو يبعد مسافة 0.4 km عن صخب المدينة. يقع هذا الفندق الحديث على مسافة قريبة من المعالم السياحية الشهيرة. إن الخدمات الممتازة وحسن الضيافة العالي في Shantara Resort Port Douglas (Adults Only) تجعل إقامتك تجربة لا تنسى. يمكن للنزلاء الاستمتاع بالميزات التالية: واي فاي مجاني في جميع الغرف, مطبخ, خدمة غسيل ذاتية, خدمة حجز التذاكر, خدمة سيارات الأجرة أثناء إقامتهم في هذا المكان الرائع. في الفندق غرف نوم يتجاوز عددها 54، كلها مجهزة بعناية وجمال وبعضها مزود بـ تلفزيون بشاشة مسطحة, بياضات, مرآة, صوفا, مناشف. يمكنك الاستمتاع بالأجواء المريحة التي تقدمها مركز للياقة البدنية, مسار جولف - ضمن 3 كم, حمام سباحة خارجي, سبا, تدليك طوال النهار. 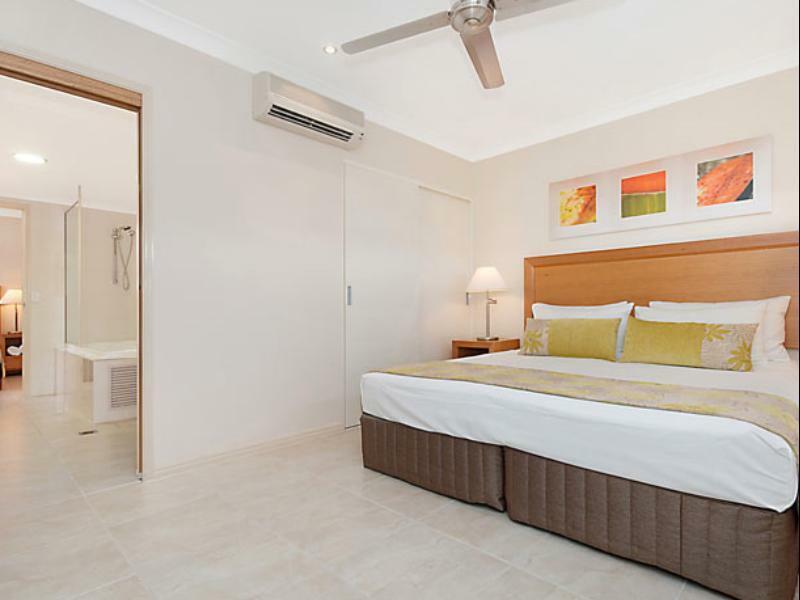 إن Shantara Resort Port Douglas (Adults Only) هو خيارك لخدمة الفنادق الراقية في المدينة. وأيام الأحد من الساعة 09:00 صباحًا إلى الساعة 04:00 بعد الظهر. My husband and I stayed at shantara for our honeymoon for a total of 14 nights. The amenities, pools, room, gym, staff, cleanliness, underground car park, security etc were of a very high standard! I would highly recommend anyone considering staying here, to do so! The owners Denah and Peter and very helpful and friendly too; as are the other staff that work there. Will definetly stay there again! Staff fantastic, location great, facility faultless, would certainly stay again. My husband an I recently stayed at Shantara Resort for 13 nights. The rooms were very spacious and clean and the bathroom was fantastic, spacious and light with an excellent roomyshower recess and spa bath. The complex was also very quiet and relaxing all round. 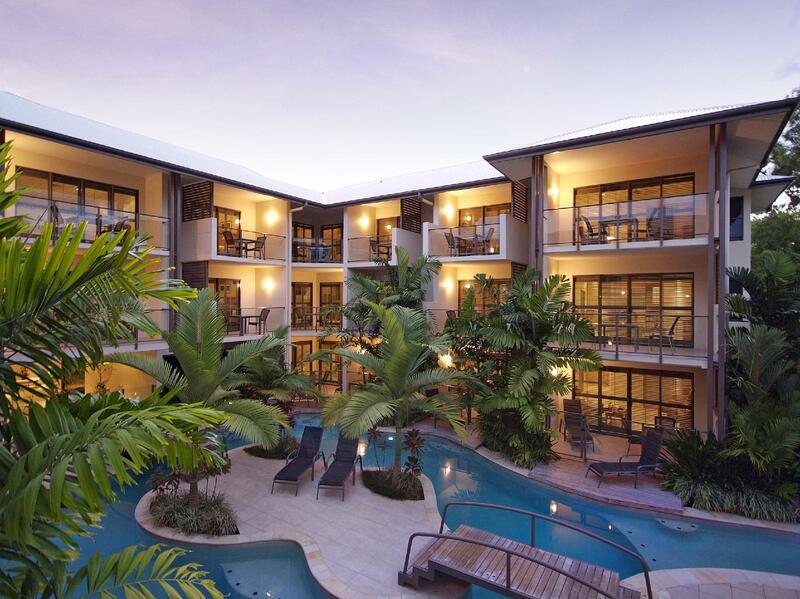 We would highly recommend to others and will stay at Shantara again when we are next in Port Douglas. Everything about this resort is excellent and we have no hesitation in recommending it to anyone. 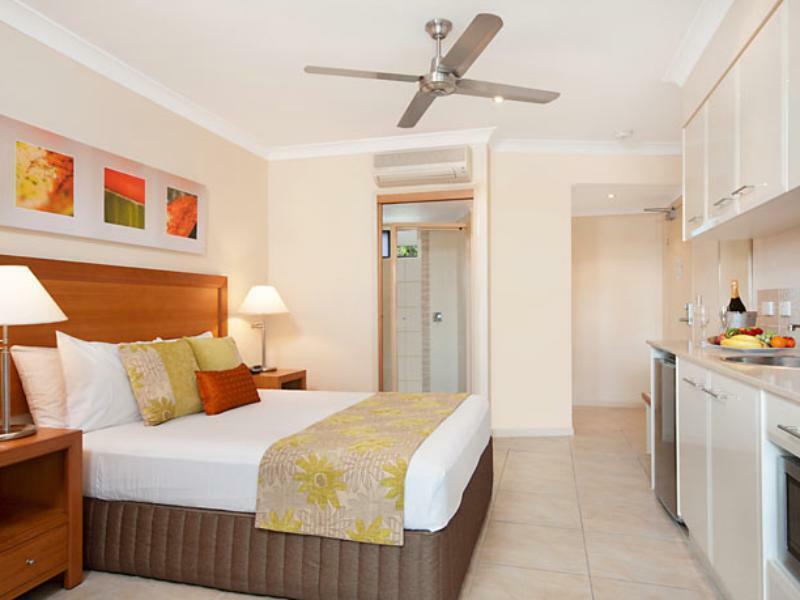 Great swim out rooms, kitchenette well stocked, staff very friendly, BBQ are stock with basics and fridge right by the pool. 5 minutes walk to shops, restaurants and beach perfect if you are flying in. We met all different age groups and staff went out of their way to make is welcome. We spent one week at Shantara. It's a walking distance from the shops and restaurants. The staff was extremely helpful, sending us information about tours and restaurants. A great place to unwind and relax. I'd definitely go back. Fabulous location, spotless and extremely comfortable accommodation, very friendly and helpful staff, it was a pleasure to stay there, and would certainly recommend it to anyone who was thinking of a Port Douglas getaway ( Shantara was recommended to us by friends who have stayed there, they have stayed at lots of places but they said Shantara was the best). Many thanks for a great getaway. What a wonderful place to stay. Very clean, friendly staff who make you feel more than welcome from the minute you arrive ,So quiet and peaceful. Highly recommend you stay here. I will definitely be returning ! Thank you so much Debbie for your kind review. We are thrilled you had such an enjoyable stay at Shantara and look forward to welcome you back soon! This was very very clean, relaxing, tranquil and extremely handy to everything including beach, shops, restaurants in town. We used bbq for a couple of meals n they supplied all the trimmings. The pool was just heaven on earth to wake up n walk 5 steps to the pool n deck. The no children aspect is fantastic. I couldn't fault the place. Loved our stay. Rooms are super clean and not at all damp or musty smelling like most hotels in the tropics. A few reviews mentioned the resort was too quiet. I did not have that experience. We stayed mid week for 4 nights and there were always people in the pools, on the balconies or in the BBQ area. It wasn't noisy but I wouldn't call it quiet since sound carries over the pool. We were never without a lounge chair by the pool and never had to wait for our turn to use the BBQ. Love love love the adult only rule. As a child free couple it was such a treat not to have to share the pools with splashing children! My only complaint was with the washer dryer set up. Our room shared a washer and dryer with the room next to us located in an alcove outside our rooms. Our neighbors were constantly doing laundry, every afternoon/evening. I don't know what the deal was but it was super annoying and they often had the dryer running late into the evening. Not the fault of the resort just inconsiderate people. I can understand doing a load before checking out but every evening for 3 days straight! 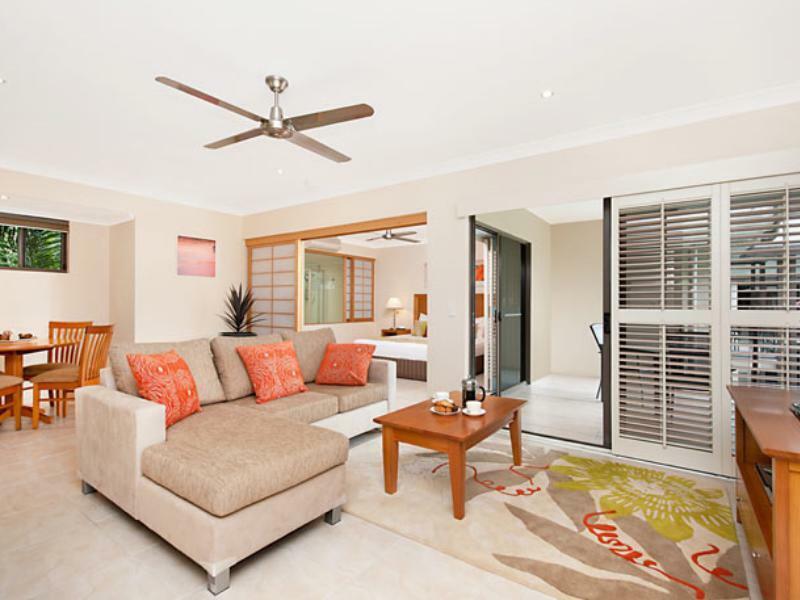 Other than that, excellent stay and if we are lucky enough to come back to Port Douglas this will be our first choice. Hi Gillian, thank you for the review. We look forward to welcome you back in Shantara! Great, only thing that would make it better are firmer beds & if it was on the Esplanade!! Our stay at the Shantara Resort was just as good as our first time. We will definitely be returning for a 3rd time. The staff as friendly, the apartment is spacious, clean, well furnished and being able to sit out on your private deck is wonderful. The staff were very friendly, helped us book day tours very efficiently. Quiet is not a strong enough word to describe this place though, it felt uninhabited. Serenity is good, but this was a bit overdone in my view. no children , quality accommodation , great location.